The People's MC delivers another timely track, speaking directly into current events and the universal cry for justice. While some artists might address the plight of the people in flashes, this brother has been consistently doing since I first heard him back in 2007. I've said it before on my blog and will say it again: Jasiri X is the most important and relevant Hip-Hop artist on the scene today. You can feel the sincerity in his music because he's out in the streets with the people. So he's not spitting hollow bars. 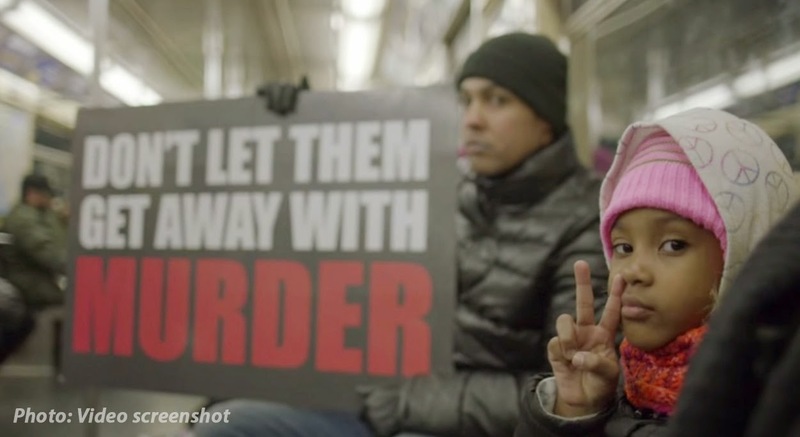 Jasiri X, who has been touring the country on a weekly basis, released the song and video "Don't Let Them Get Away With Murder" in collaboration with Harry Belafonte's organization Sankofa.org. Jasiri X has frequently shared on social media many moments he's had to be mentored by the great Mr. Belafonte and even traveled with him over the pond. It's beautiful to see an elder in the struggle feeding the young cadre of leaders. While, in my opinion, this track needs no explanation, Jasiri X says,"Unarmed people of color are being killed wholesale by police officers across the country. Their deaths are being ruled as homicides, yet no one is being held accountable. It is my hope that this song will serve as a reminder of how severely broken the justice system is and that we need to take action now." This is some very captivating video footage married with piercing lyrics by Jasiri X regarding recent headlines such as the killings of Trayvon Martin, Michael Brown and Eric Garner. Generation David ain't afraid of Goliath. All this pain brought the change up out of us. Watch and listen to "Don't Let Them Get Away With Murder" and be sure to help spread it. It's not just a song. It's a call to action.